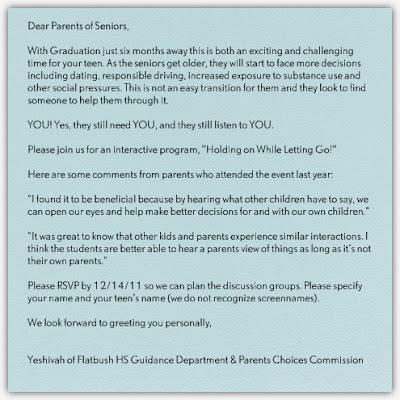 Last week, our Guidance department, along with our Parent Choices Commission, set up a special program for high school seniors and their parents, titled "Holding On While Letting Go." 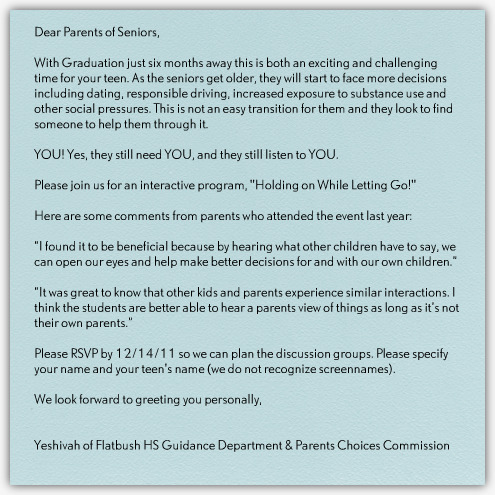 The program provided an opportunity for parents to discuss with faculty and students what options are available to their children, and the role that they play as parents in guiding their children to make the right decisions. 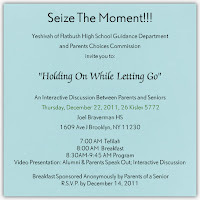 The program began with breakfast and a short orientation, and then continued with interactive discussions between students, parents and faculty about the various challenges and options that arise once a student reaches the end of their high school career.